Verizon is currently hosting a deal for 50% off of their best Android phones. Of course, the 50% is only off of the on-contract price, but still, the deal includes all phones over $199 on-contract. 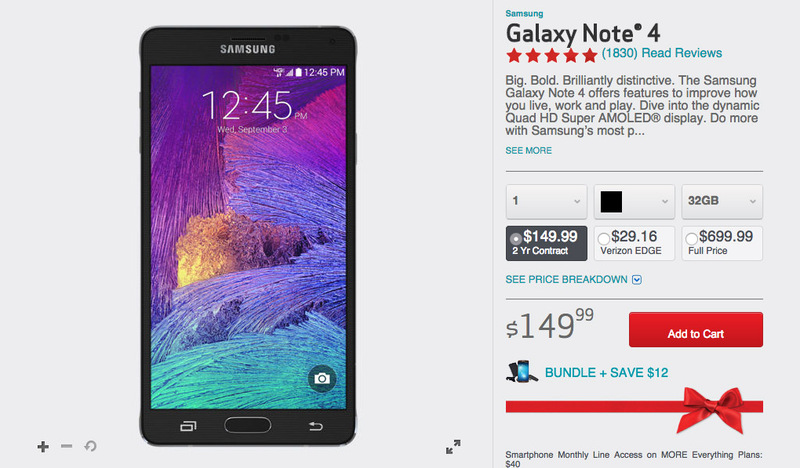 The devices to consider are the Galaxy Note 4 ($149), Xperia Z3v ($99), and DROID Turbo ($99). Actually, those might be their only Android phones that qualify, all of which we are big fans. If you haven’t yet, be sure to read our Galaxy Note 4 review, DROID Turbo review, and Xperia Z3v review. Verizon is also doing free overnight shipping, so if you get orders in by 4PM on December 23, they should arrive by X-mas.